Sai Samsthan USA is organized exclusively for charitable, religious, educational, and scientific purposes. 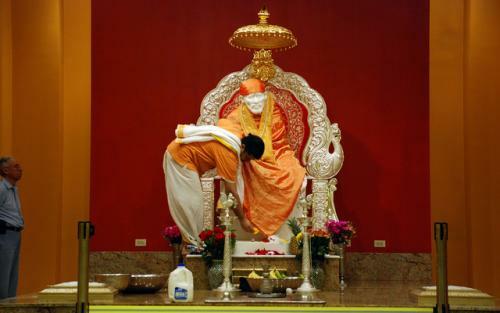 The primary objective of Sai Samsthan USA is to establish Shri Shirdi Sai Baba Mandir in the metropolitan Chicago and facilitate worship services similar to Shri Shirdi Sai Baba Mandir in Shirdi, India. Other objectives of the organization include charitable activities such as medical aid to the indigent, relief to people affected by natural calamities, organize shelters to the homeless, feeding of the destitute (annadaana); translate, print, publish or distribute books, periodicals and literatures to promote the goals and objectives of the organization; to promote Baba’s philosophy, sponsor or support religious, spiritual, cultural, educational or charitable activities or organizations in the United States or abroad. Sai Samsthan USA has been organizing worship services since its inception. A special worship service on every Thursday evening include Samoohika Vishnu Sahasra Nama Parayan, Shri Sai Ashtothara, Bhajans, and Shej Arati followed by Mahaprasad. In addition, all major religious functions such as Ram Navmi, Guru Purnima, Gokul Ashtami, Maha Shivaratri, Baba’s Maha Samadhi Day and Datta Jayanti are celebrated with utmost devotion. As the demand for these services increased with enthusiastic participation of ever increasing number of devotees, the organization deemed it necessary to obtain services of a full time priest. With the Grace of Baba, we were successful to bring Shri Krishna Sulakhe belonging to the same family as that of the Head Priest in Shri Sai Baba Mandir, Shirdi, India as our priest. 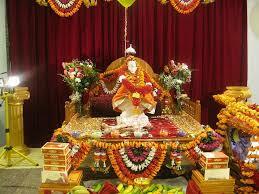 He has been providing worship services in the tradition of Shri Sai Baba Mandir in Shirdi. 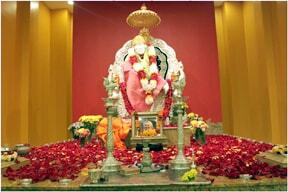 Sai Samsthan USA has been tirelessly engaged to find a place of its own to establish Sai Mandir. 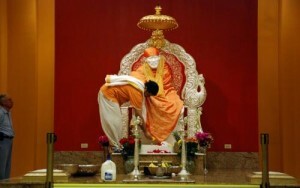 With the Grace of Baba, we were able to purchase approximately 5.5 acres of land in Aurora, Illinois and inaugurate Shri Shirdi Sai Baba Mandir Chicago on December 19, 2002 that happened to be a Thursday, Shri Datta Jayanti Day and a full moon day, a combination that occurs only once in 62 years. Daily worship services and four Aratis are performed at this location. We plan to build a new Mandir, a multi-purpose hall, kitchen and expanded parking in 2003. Sai Samsthan USA is organized exclusively for charitable, religious, educational, and scientific purposes. To conduct charitable activities such as medical aid to the indigent, relief to people affected by natural calamities, organize shelters to the homeless, annadaana (feeding) to the destitute. To translate, print, publish or distribute books, periodicals and literatures to promote the goals and objectives of the organization. To sponsor or support religious, spiritual, cultural, educational or charitable activities or organizations in the United States or abroad.